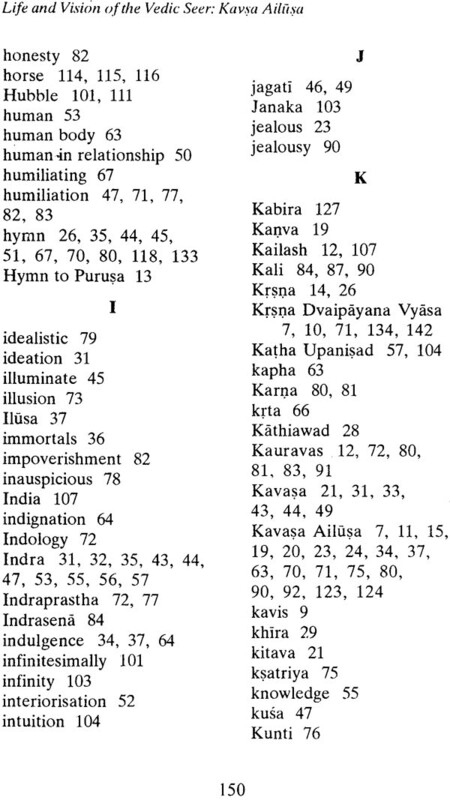 This book in the series of Life and Vision of Vedic Seers is an attempt to reconstruct the life and ideology of a Rgvedic seer Kavasa Ailüsa noted for contributing four hymns to the Samhitä particularly the famous Gambler’s Hymn which is unique in its content inasmuch as instead of devoting itself to anyone of the deities it has been addressed to Die as its deity and devoted to Aksa an insignificant wild seed used in playing an ancient game which happened to be decisive even to kingships. Ironically, the seer happens to play the role of a dramatic persona in this hymn involving himself practically as a gambler, playing the game, suffering the consequences up to the extreme consisting in even losing his wife to the fellow gamblers, getting indebted to eighbours, hiding himself from them, being disowned by his father, mother, and brothers and relatives and then tending to impart the lesson of abstaining from this game to people at large. 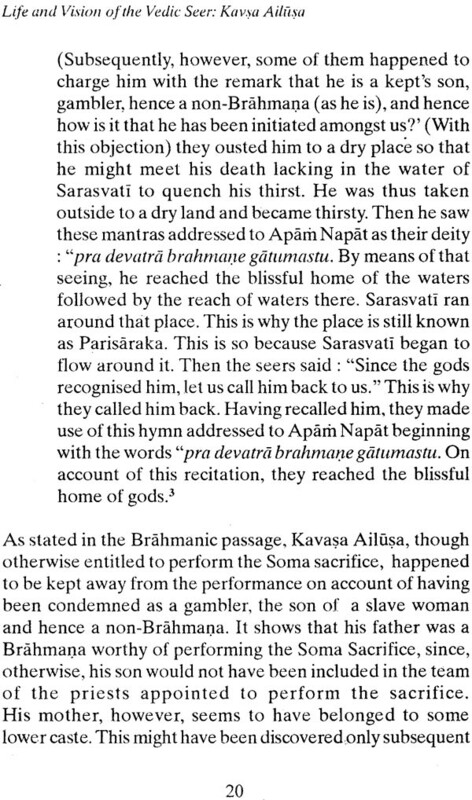 The irony of his lesson, however, lies in the fact that sage Krishna Dvaipayana Vyasa who is responsible for turning the stray Vedic Mantras into Samhitas as well as creation of the Mahäbharata, the greatest epic poem of the world, happens to have adopted the same model in the creation of its hero after the same seer in Yudhisthira, the king of kings of his time and suffering almost the same consequences inspite of all his honesty and piousness of character and has become archetypal throughout the millennia. 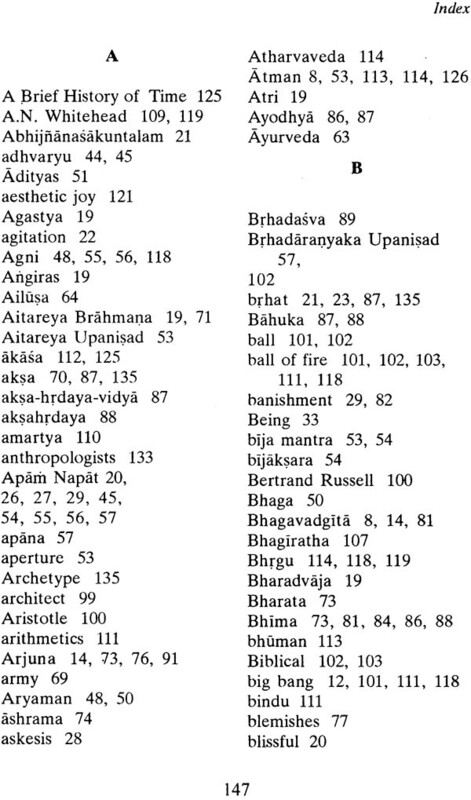 This book has, thus, become important on account of showing for the first time the archetypal character of the theme of the Mahãbhärata tracing itself back to this hymn of the Rgveda which otherwise has been treated as a matter of ridicule on Vedic seers and what they have contributed to the literary world. 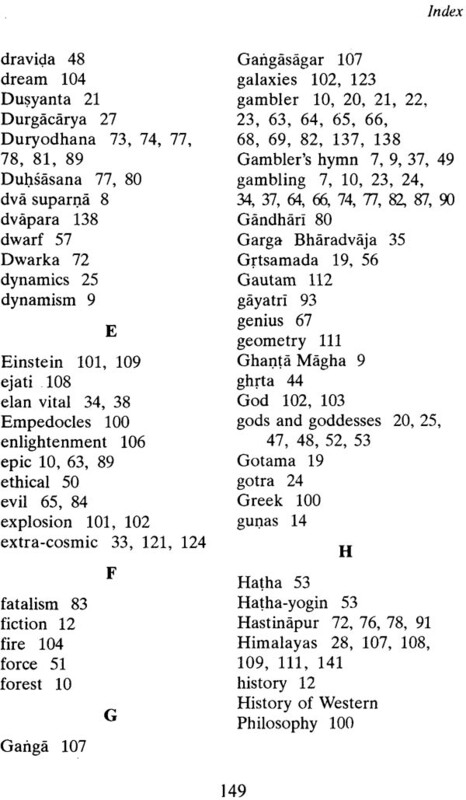 The book is valuable asset for scholars, students, researchers of Philosophy, Yoga, Vedic studies and Indology. Professor Satya Prakash Singh is renowned Vedic scholar. He is a Ph.D. of the Banaras Hindu University and D.Litt. of the Aligarh Muslim University. A former Chairman of the Department of Sanskrit and Dean, Faculty of Arts, Aligarh Muslim University. He has been an Editorial Fellow in the Centre for Studies in Civilisations, New Delhi also Director of Dharam Hindu International Centre of Indic Research in Delhi and Director of Vedic Research Centre in New Delhi. He is the recipient of a number of prestigious awards including Ganganath Jha Award of the Uttar Pradesh Sanskrit Academy, Rajaji Literary Award of Bharatiya Vidya Bhavan, Swami Pranavananda Best Book of the Year Award in Psychology, Bãnbhatta Puraskara of Sanskrit Academy, Uttar Pradesh, besides President of India’s Award of Scholar of Eminence. His publications include: 1. 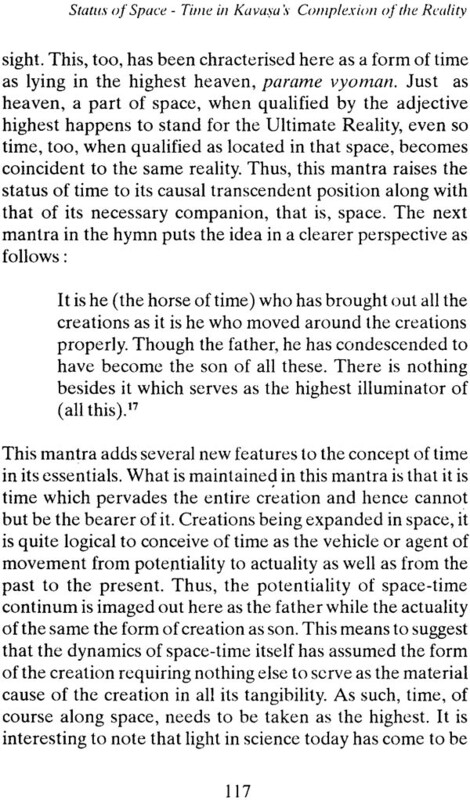 Sri Aurobindo and Whitehead on the Nature of God, 2. 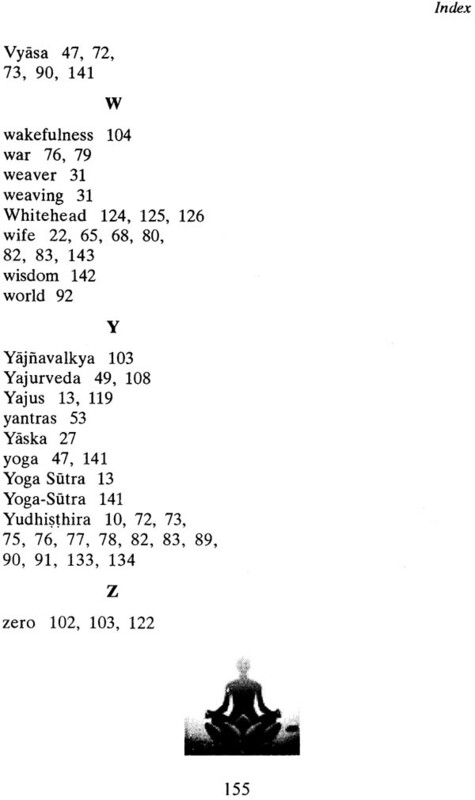 Sri Aurobindo, Jung and Vedic Yoga, 3.Upanisadic Symbolism, 4. Vedic Symbolism, 5. 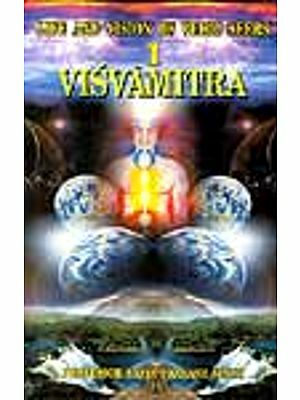 Life and Vision of Vedic Seer: Visvamitra, 6. 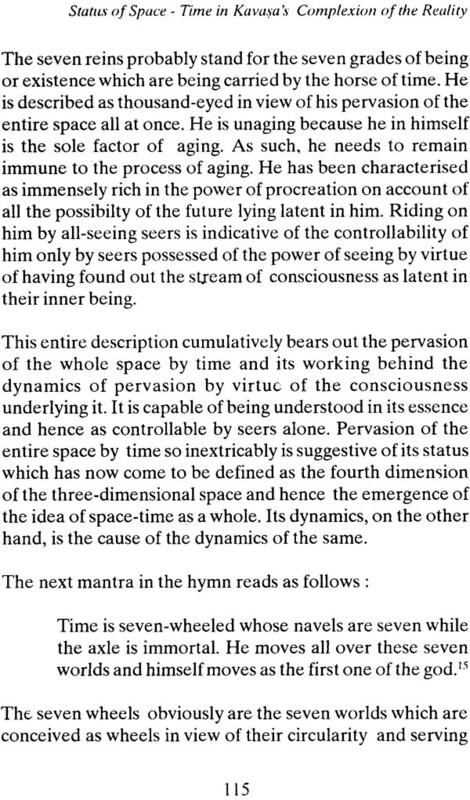 Life and Vision of Vedic Seer: Dirghatamas, 7. 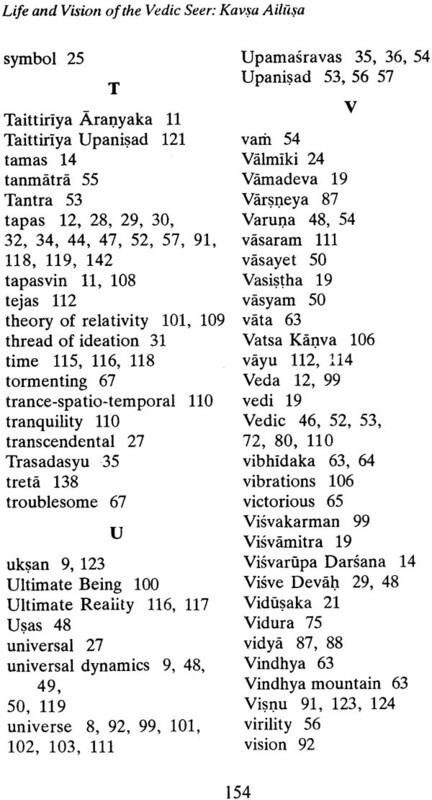 Vedic Vision of Consciousness and Reality. 8. Yoga From Confusion to Clarity (5 Volumes), 9. History of Yoga Life: 10. 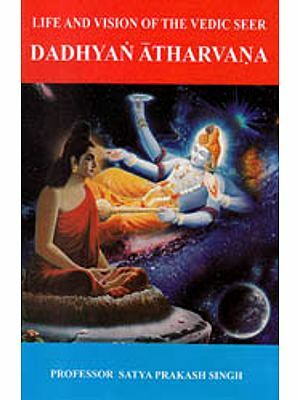 Life And Vision of the Vedic Seer: Dadhyañ Atharvana; 11. 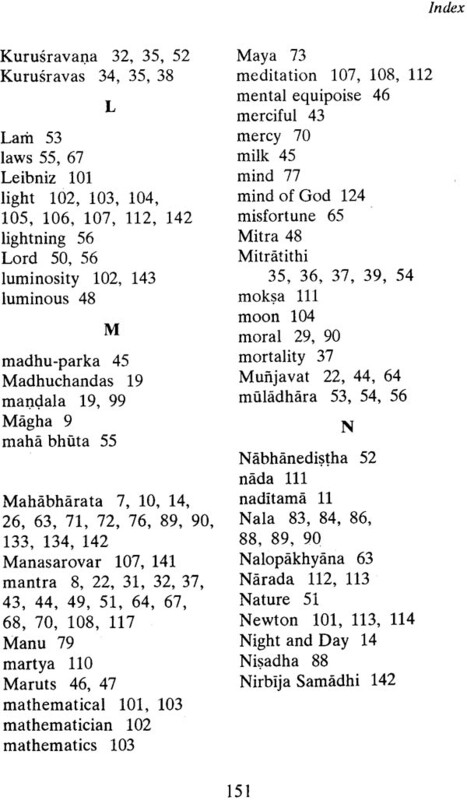 English Translation of Mahesvarãnanda’s Mahartha-mañjari. This is the fourth volume in the Series devoted to reconstruction of the course and kind of life the Vedic seer Kavasa Ailusa led and had the privilege of seeing visions which placed him on the high pedestal of seers who have become immortalised by virtue of coming to the reckoning of the great sage Krsna Dvaipãyana Vyasa and have found place in the first and foremost literary work of the world, namely, the Rgveda. The hymns as seen by him and collected in the Samhitã are just five and yet they have made him so eminent. The hymn which has made him singular in the galaxy f seers in particular is the Gambler’s, as it deals with the scieta1 evil of gambling and its consequences in the midst of almost all other hymns devoted, as they are, primarily to prayer to gods, goddesses and the Creator. In this latter case also. 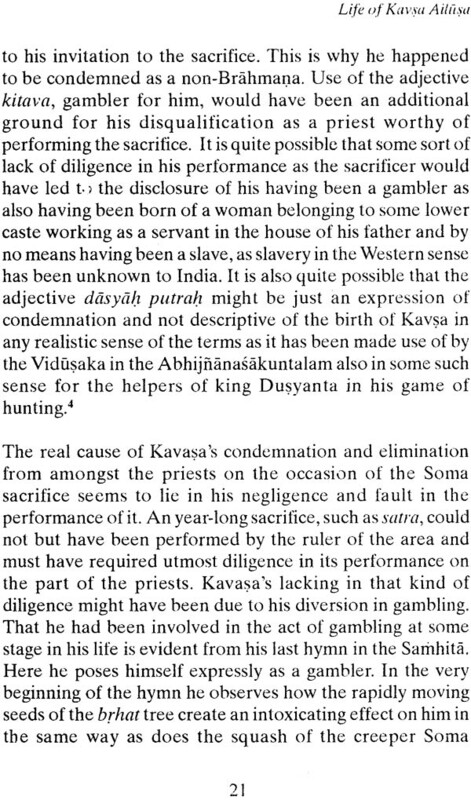 however, Kavasa Ailusa is not far behind others, as the rest four hymns seen by him serve the same purpose and make him deserve the seerhood. 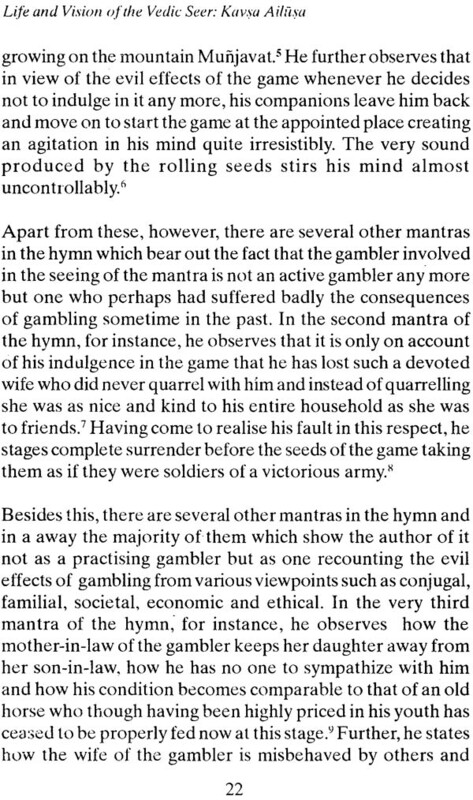 As regards the Gambler’s hymn, what has remained almost unnoticed so far is the emulation of it in structuring the central theme of the Mahãbharata by its author. In the span of just fourteen mantras the seer has created the archetype of the epic’s theme to have been expanded in as many as one hundred thousand verses resulting in the emergence of the Bhagavadgita along with the devastation of the war of Mahãbhãrata. 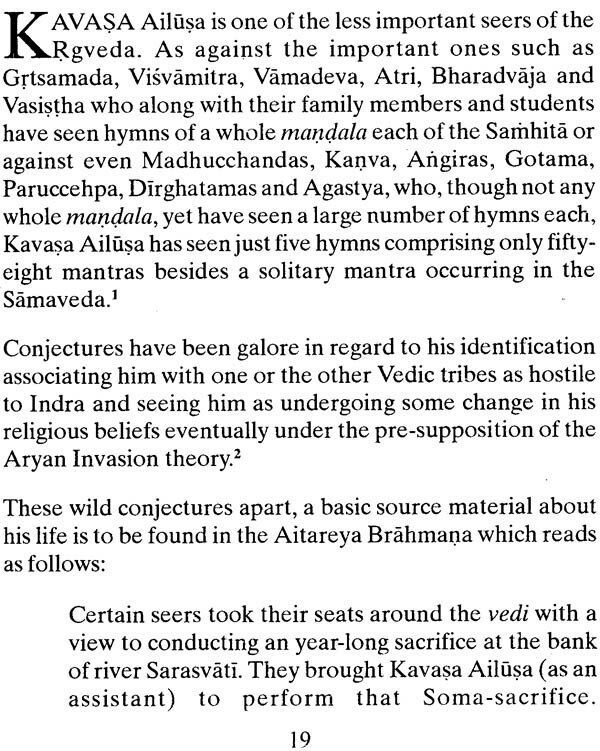 Adoption of the archetypal model of Kavasa Ailusa in the creation of his magnum opus by such a sagacious thinker and literary stalwart like Vyasa is not anything small. It bears out the immensity of the potentiality of the seer’s vision. So far as the religio-philosophical side of the visions of the seer is concerned, it, too, is almost equally profound. In this respect, particularly noticeable is the mantra in which he inquires about the Forest and the particular Tree in it by cutting wood from which this so magnificent a mansion as the universe has been constructed. 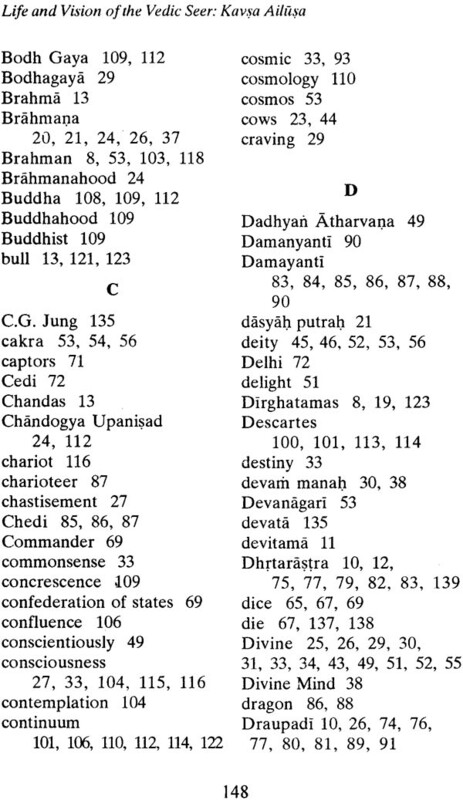 In this regard, it is significant to point out that this query of the seer has been responded to by one of the Upanisadic sages in the form of Brahman to have served as both the Forest and the Tree and hence as well as the whole of the universe created with the material extracted from the Tree. 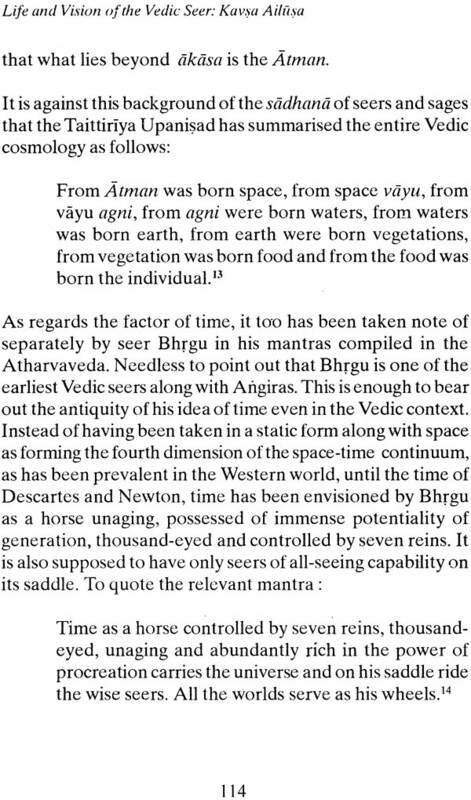 This sequence of visions suggests to the origin of the concept of Brahman in the Indian tradition. 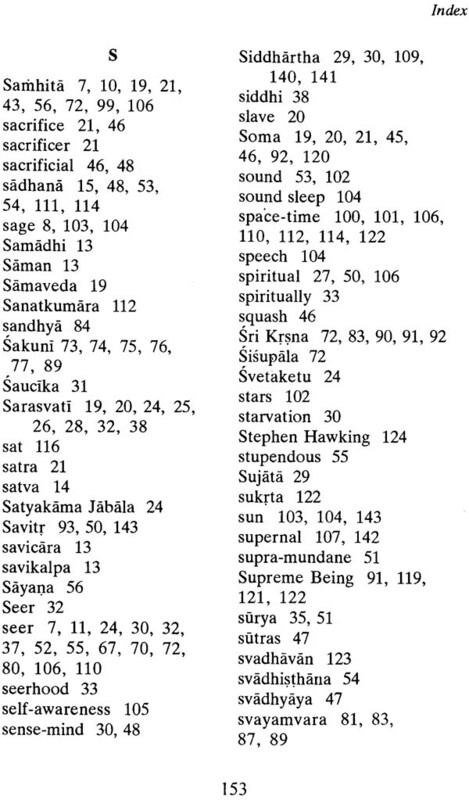 Queries of Vedic seers, indeed, are indicators of their immediate realisation of the reality concerned instead of their ignorance and hence curiosity about it. 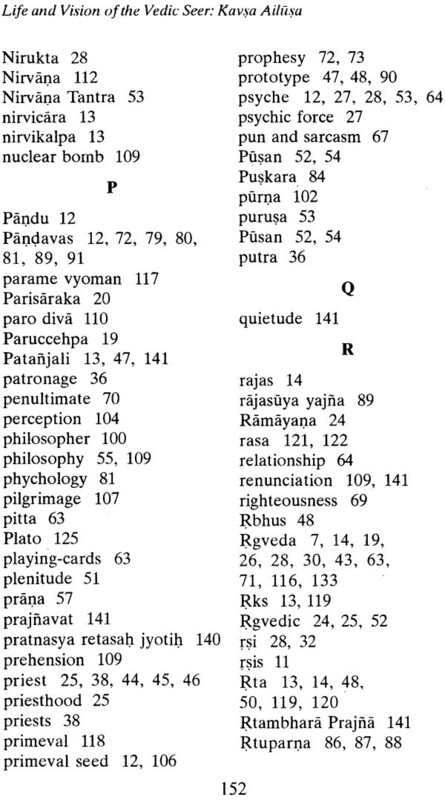 This can be elucidated by another seer Dirghatamas’ query regarding the whereabout of the Atman, ätma kva svit, side by side the magnificent vision of the well known Two Birds, dvã suparnã. 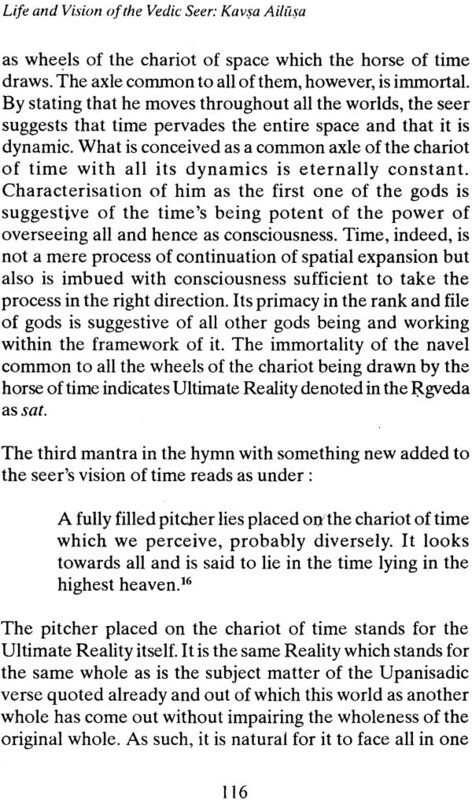 It is the same Brahman inquired about as the Tree in this vision which reappears as the Bull in the immediately next mantra as the Uksa, carrying the Heaven and the Earth as two loads on His back since untold ages as the Transcendent Being, Para, and absolutely distinct from both of them, anyadasti, and yet serving as the unique coordinator between them, rta, in the midst of all their dynamism. The height and depth of the insight behind the vision can be imagined from the search for the source of symmetry working behind the universal process by physicists and astronomers at present in course of their investigations into the mystery of the creation. From the literary viewpoint, the excellence of Kavasa in his conception of the heaven and the earth as two loads hanging from the back of the Bull on both his sides can be imagined from the Sanskrit poet Magha’s simile of the orbs of the sun and the moon appearing on the eastern and western horizon on a full-moon evening as two bells hanging from both the sides of an elephant. What is important to point out is that it is owing to this fantastically inadequate simile that he became sarcastically famous as Ghantã Magha, the poet of bells. In contrast to the inadequacy of the poet’s imagery is understandable the excellence of the seer’s vision giving a concrete shape to the principles of symmetry and coordination operative behind the universal dynamics and flux in a poetically as well as philosophically understandable form. This genre of poetic excellence in the imagery and expression of seer is to be found in abundance in his Gambler’s hymn. Excellence of seers lies not only in their visions but also in their imaginations and expressions. It is this quality of their compositions which has given immortality to them and has them kavis, poets, besides rsis, seers.